• New zinc-air hearing aids batteries need oxygen to provide power. They get this oxygen when a small sticker on the back of the hearing aid battery is removed, exposing the zinc inside the battery to air, and activating the battery. • Fit the hearing amplifier into your ear canal deep enough for effective use. • If you hear beeps in your hearing aid, the item ran out of batteries. 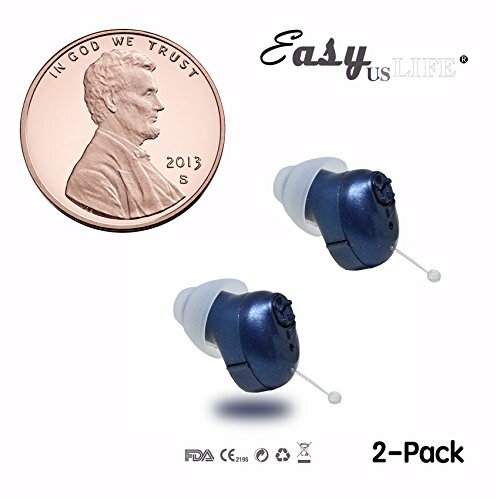 Please purchase a new Hearing Aids Size 10 Zinc Air Batteries for continuous use. • It is designed doesn't have an "OFF" switch, Just keep the battery compartment open. One-Year Warranty. Your 100% satisfaction is guaranteed !